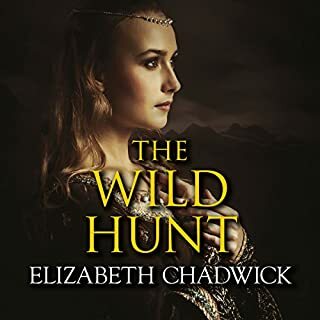 I'm a big fan of Elizabeth Chadwick's writing and I understand that this was her very first book, book 1 of a trilogy. It tells the story of Guyon who is forced by the king to marry young lady Judith and the &quot;wild hunt&quot; is their falling in love and Judith's learning to love her husband. Elizabeth Chadwick does not disappoint! My only disappointment was that &quot;The Wild Hunt&quot; was not available in e-book format. 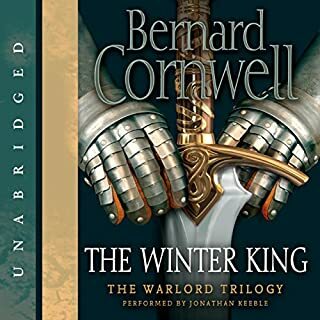 My only complaint is that this is a trilogy and I would love it if the other two books were also on Audible since neither is available as an e-book. The marriage of the Englishman Richard Marsdon and his young American wife, Celia, slowly turns tragic as Richard withdraws into himself and Celia suffers a debilitating emotional breakdown. A wise mystic realizes that Celia can escape her past only by reliving it. She journeys back four hundred years to her former life as the servant girl Celia de Bohun during the reign of Edward VI - and to her doomed love affair with the chaplain Stephen Marsdon. A different narrator would have made all the difference. 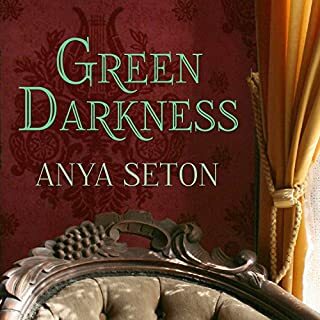 Would you consider the audio edition of Green Darkness to be better than the print version? 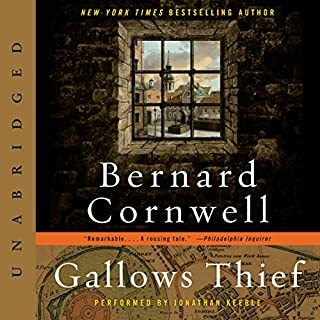 I've re-read this book many, many times but this was the first time I listened to it on Audible and I loved the reader/performer's accents and pronounciation. In many ways I prefer the audio version because it's so easy to get lost in the story when you don't have to wonder how to pronounce places and things. What does Heather Wilds bring to the story that you wouldn’t experience if you just read the book? Heather Wilds did a wonderful job - she brought an old favorite back to life for me. Have you listened to any of Jonathan Keeble’s other performances before? How does this one compare? The reason I downloaded this book was because I just love Jonathan Keeble's narration and he did not disappoint. Phenomenal. Great characters - I would love to read more books about them! I enjoyed reading this book but not listening to it - I couldn't finish it listening to it because I didn't care for the narration. Fun easy read but not a book to listen to with this narrator. At the end of The Winter, King Arthur fought the battle that forces unity on the warring British kingdoms and now he sets out to face the real enemy - the English (it is one of the great ironies of the Arthur stories that he should have become an English hero when, if he existed at all, he was a great war-leader who opposed the invading Sais). First, though, Merlin leads a perilous expedition into the mysterious west to retrieve a cauldron, one of the treasures of Britain. Would you consider the audio edition of Enemy of God to be better than the print version? I would not consider the audio version to be better but equally as phenomenal. What I really appreciated with the audio version was the correct pronunciations of the names of places and people. I had been pronouncing Ceinwyn's name as "sane-win" rather than the correct "kine-win" before I began listening to the audio version. I originally found this book after doing a search for books that Jonathan Keeble has narrated because he is such a wonderful storyteller. His performance of this book makes me feel like I'm sitting in front of him and he's telling the story to me. I hope to listen to more of the books he has read. This is book 2 of a three-book series. I would highly recommend reading the three books in order although one could read each of the three books as a stand-alone novel and still enjoy it. What made the experience of listening to The Winter King the most enjoyable? Jonathan Keeble's performance of this book made me feel like I was sitting in a hall listening to a bard tell this story. 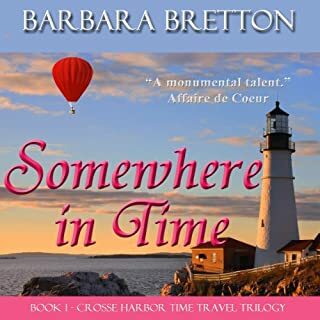 I liked them all - the friendships and the interconnections of the characters make this a very enjoyable story. I almost didn't download this book after reading other reviews that said that that this book was slow and dull - don't listen to those. It is true that this book moves slower than the next two in this trilogy but it's worth reading and really necessary in order to understand all that goes on in the next two books - which were the kinds of books that I could barely put down. This book is good - and the next two (Enemy of God and Excalibur) are phenomenal. If you could sum up The Pagan Lord in three words, what would they be? Still Aethelflaed - I like how she loves Uhtred and doesn't care what others think. What does Matt Bates bring to the story that you wouldn’t experience if you just read the book? Matt Bates is phenomenal and much appreciated after quite a few narrators who didn't capture my interest. Jonathan Keeble and Matt Bates both are awesome - and not just readers but performers of the story. I found myself listening when I would usually be just reading because his narration added so much to my experience of the storyline. If you could sum up Death of Kings in three words, what would they be? Who would you have cast as narrator instead of Stephen Perring? Jonathan Keeble - his voice makes me feel like I'm sitting next to Uhtred and he's telling me his story. With Stephen Perring, I found myself cringing every time he mispronounced important words like "Bebbanburg" as Bamburgh....yes, it's Bamburgh NOW but it was Bebbanburg in the story! 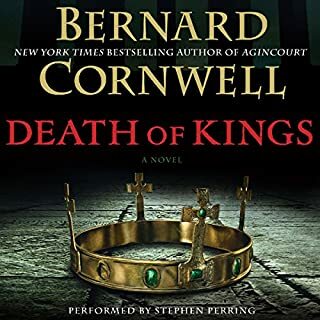 If you could take any character from Death of Kings out to dinner, who would it be and why? Aelflaed - she sounds like a woman who would have a lot to share. Bring back Jonathan Keeble please. I miss Jonathan Keeble, who became Uhtred to me. Why was he not chosen to narrate the whole series? 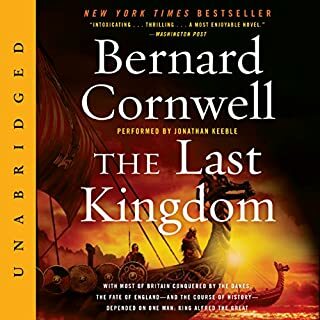 If I had listened to The Last Kingdom with one of the other narrators, I probably would not have continued with the book. Please bring back Jonathan Keeble! What did you love best about The Last Kingdom? I really didn't think I'd like this kind of book - until I heard Jonathan Keeble reading/performing it. Wow. Jonathan Keeble became Uhtred for me - and it was as if he was sitting next to me and telling me the story. 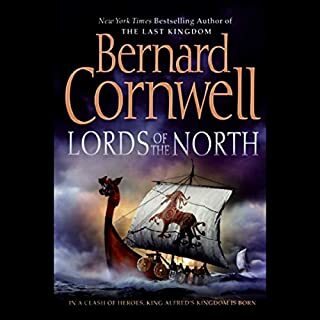 Uhtred - although Beocca is also a favorite. 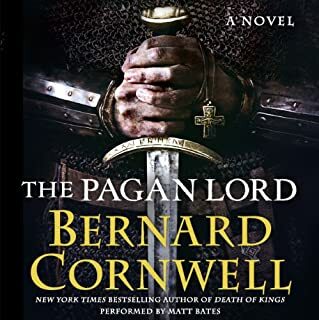 Uhtred because it's his story and Beocca because he keeps believing in Uhtred. The only think I don't like about Jonathan Keeble's performance is that he didn't read all of the books. I was so disappointed to hear the other readers of the other books. They were just reading - Jonathan Keeble is performing the story and making me feel like he's sitting in front of me, talking to just me. Why couldn't the publishing house get him to perform all of them?